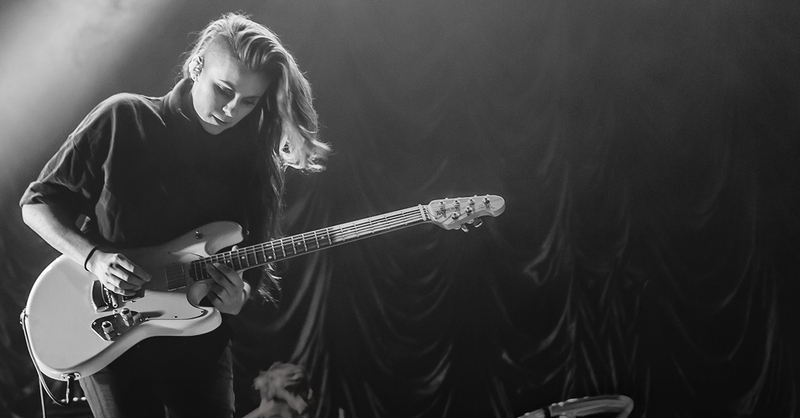 In January 2016, dark synth-pop trio and Ernie Ball band, PVRIS, made its late-night TV debut on “Jimmy Kimmel Live!” In April 2016, they embarked on a European tour with Fall Out Boy and Awolnation. Their single, “You and I” is staying strong on the Billboard charts and has over 1 million YouTube views. This all comes just a few short years after the band was a participant in the 2013 Ernie Ball Battle of the Bands (now called PLAY Warped Tour). After playing a Warped Tour set as part of a prize package, PVRIS signed their first record deal with Tragic Hero in 2013. In 2014, PVRIS signed with Rise Records and soon after, The Huffington Post named them one of “18 Artists You Need To Know Now That We’re Halfway Through 2014.” And the rest, as they say, is history. Check out Alex’s “The Sound of Warped” tour video where he talks about the gear he uses to form his signature sound.